Produced by Kitty and David Mosher, the album is the result of a collection of songs written by Kitty during a long hiatus from recording. 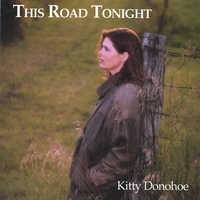 As ever, Kitty draws on her Irish heritage musically and uses a healthy dose of uilleann pipes, whistles and accordion in addition to guitars, bass and keyboard to back her up on all 12 original songs and tunes. Stepping a little farther afield than on past projects, Kitty and David integrated some unusual percussion to bring a novel feel to a couple of the cuts. beautifully produced, well written and expertly played” Sing Out!